Oh my God, that teaser trailer was a masterpiece. Did you know Frozen 2 is coming back? And what’s more, the teaser, released only a few weeks after the terrifying Chicago polar vortex, is an absolutely epic beautiful sight to behold? Well guess what, you huge Disney dork, it absolutely is! The shots in the trailer, the special effects, hell, the fights with the unknown by two exciting fairy tale warriors bring to mind the 90’s Golden Age of Disney Animation where the action was tightly paced, animated with a beauty that could rival the kind of majesty that came in an ornate painting, and that certainly is on display here, from the opening shots of Elsa trying to master her freezing powers against a powerful ocean to– hell, check out this shot below! I mean, what is that!? That is absolutely beautiful! One woman versus the powers of nature! The teaser, in the classic style of a teaser, keeps its plot points close to the vest. We see Elsa, played by Idina Menzel, trying to master her ice powers in more dangerous situations, we see Olaf the Snowman, played by Josh Gad, cowering in fear from a pink, smoke created heart, we see Kristoff, the hunky love interested from the first Frozen played Jonathan Groff racing through the snow, and finally we see Anna, voiced by Kristen Bell, slashing us with a sword in the final shots, no doubt sensing that we once had ill thoughts towards the idea of continuing the Frozen franchise, but we swear, we swear, that’s all in the past! We promise! The cast of the new movie also includes Sterling K. Brown and Evan Rachel Wood in unknown roles, (maybe as the emitters of those pink smokey hearts? ), and is set to come out in the beginning of he next big cold crisis, November 22nd, 2019. Oh hey! There are your Thanksgiving movie plans! All your little nieces will love it, probably. 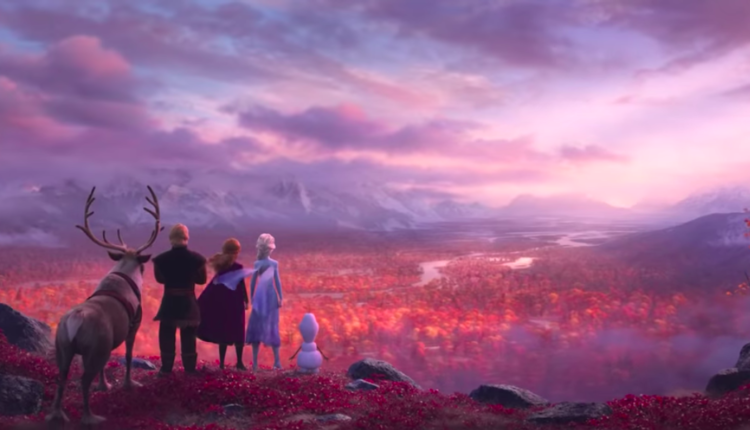 What did you think of the Frozen 2 trailer? Let us know in the comments or on Twitter at @WhatsTrending.